When in-depth Intelligence is required, a strategically placed undercover private investigator within a facility maybe the prudent solution over other Investigative methods. Unexplained thefts or drug activity can pose both financial losses, as well as health and safety concerns. A carefully selected Private Investigator posing as a regular employee can be placed into almost any type of industrial, corporate, commercial or retail environment, and blend in with employees. The discreet investigation is an effective way to expose theft rings, time theft, drugs and other concerns. A carefully selected Investigator may also be able to unravel plots to damage a company’s reputation or image, via conspiracies against the organization and its management. In senior level positions, the release of confidential company information to competitors can be extremely detrimental to its bottom line. Undercover investigations are also beneficial when used in conjunction with other types of investigations. For example, once guilty parties are exposed via the undercover operative, a Surveillance Investigator or installation of covert cameras can be used to document illegal activities like drug and alcohol consumption or theft. 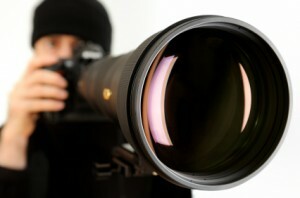 A company may use undercover investigators for a number of reasons. Theft – theft affects a company’s bottom line and in many cases, only the strategic placement of an undercover operative can ascertain the source and root of the issues. Theft comes in many forms, including products and theft of hours / time-theft. Drugs & Alcohol – With the increased use and dependency of prescription drugs, in addition to hard street drugs, many companies are faced with an obligation to safeguard employees. The first step in deploying a successful undercover strategy is to contact a reputable, licensed and bonded investigation agency to oversee the planning and implementation and successful execution of the undercover operation. Second, a company must consider when is the best time to insert an undercover investigator into its workforce. Mass hiring are often the best when available as the investigator is able to blend in more with the other new recruits. The ideal candidate varies on a number of factors but age and ethnicity may also be important depending on demographics of the company. Undercover investigators prepare daily reports that are forwarded to the investigation agency, who then keep the company management apprised. Investigations Toronto has overseen numerous complex Investigations in both Canada and in association with our partners in the United States. For more information on our undercover Investigation services, speak with one of our experienced licensed private investigators today. Contact us for a professional and friendly no-obligation quote at 1-800-977-0337.